A feature of my YouTube videos that I’m very proud of is my very full description boxes. For almost the entire 5 ½ years that I’ve been making videos, I’ve tried to list everything that was mentioned in the video in the description box. For the last 3 years or so, I’ve also added links next to the items, to make it easier for you to get more information about the product and for you to purchase it, if you so desire. The nice thing about using these links is that I can see which links were clicked on the most (don’t worry, I can’t see WHO clicked on them) which then gives me more information as to what you’re interested in and what you’re not. My dear friend Erin Busbee recently put up a video where she listed the best sellers from her blogs and videos (watch it HERE), so I decided to totally steal the idea and do it too! So here they are, my top 10, from number 10 to the number 1 most popular product of 2015! I have so many of these, it’s embarrassing. I love a long pendant necklace-it makes me look taller & slimmer, and it doesn’t get stuck on my girl parts. Plus, it adds a nice pop of color to my standard uniform of t-shirt and jeans! I’ve had the original in gold/clear stones since November 2014, but I added about 4 more to my collection in different metals and stones. Apparently you all liked it as much as I did! I use this every morning without fail before I put on my makeup. It’s great for all skin types, and it seems that you all like it as much as I do! The first time I saw a picture of this handbag on a blog, I was smitten. It’s professional, elegant, yet not too stuffy. This is one of two pieces that’s listed in the description box for every video I make, because I wear it every day. I love how simple it is, and the fact that it is silver AND gold means I can wear it with everything. I picked up two of these in the Nordstrom Anniversary Sale and I definitely plan on grabbing some short-sleeved versions for this spring and summer. You can tuck it in to wear with jeans or pants, or wear it long over leggings. And it doesn’t cling to the wobbly bits! 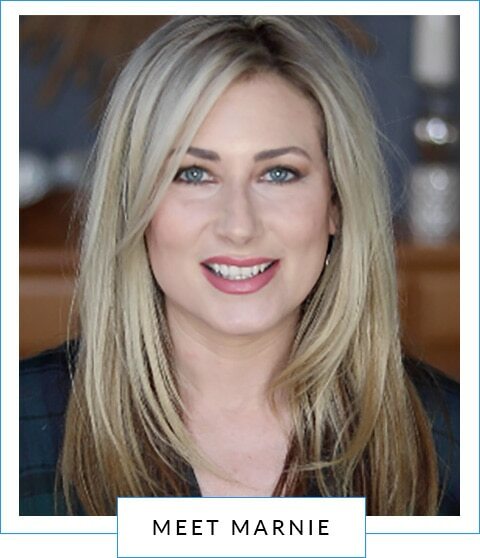 It’s no secret that Colleen Rothschild is my go-to skincare line, and based on the amount of clicks her website got, I’d say a lot of you have figured out how great her products are! Unfortunately this one is no longer available (why do they do that!!! ), but I found a great dupe, minus the calf hair, that is the same shape, size and color. The bordeaux color is a great neutral AND pop of color for fall and winter, and the structured shape of the bag is a classic. I love the clean lines of all the GiGi New York bags, and of all the shapes, my favorite is the tote. I love the Teddie because of the large zippered middle pocket and the slightly larger shoulder straps. It looks like you all liked it too! Michael bought me this watch as an anniversary present in 2014, and I have worn it every day since. I have never had a watch this nice, and I don’t expect I will ever get a different one. I love it–and so do you, because this is the most clicked on link from 2015! 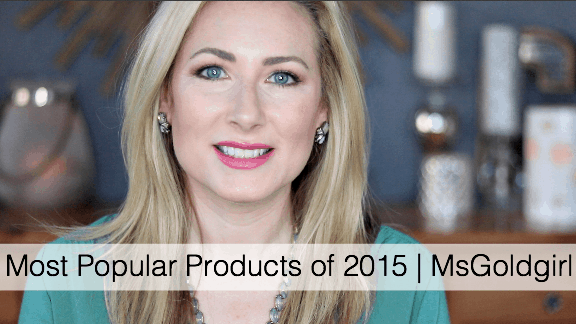 Click on the pictures below to shop my most popular products from 2015! These shirts are so cute! I have a question. I know you mentioned before that you are bustie, so am I. As far as size, how did you feel the shirt ran? I am in between sizes and I’d hate to buy too big, but then I’m afraid the other size may be tight around the chest. What size did you purchase if you don’t mind me asking. They definitely run big, so if you’re between sizes, go down one. I wear a size small-I bought it in the regular cut but I could probably get away with wearing the petite, too! I was just wondering whether you have found your favourite foundation to replace revlon colorstay. I am addicted to revlon colorstay have used it for years as i find it covers my rosacea and lasts all day. I am trying to break free and find something better as my rosacea has been was getting worse. I have just purchased lancome teint idole ultra 24h, and i really like the coverage so far similar to revlon and used a sponge to apply. Have you tried this particular foundation, would love to hear your thoughts. I have also tested a range of natural makeup but they tend to enlarge my pores.